Raised by Gypsies ::: Music Review // Stay Young "Sidewalks"
The first sound you hear on "Sidewalks" is an acoustic guitar. While this song by Stay Young can feel dreamy at times, it also can go into this dark place and the combination of those two elements is what makes this song special. It's not quite an "acoustic rock" song and it's not quite a "darkwave" song, but being somewhere in between has it stuck in my head. I'm not sure what happened to all of the acoustic rock bands. Maybe they exist and I just don't listen to them (the new ones) but this reminds me of music from the 1990's in the acoustic way. I think of artists like Duncan Sheik, Violent Femmes and Toad the Wet Sprocket. Is there a similar class of bands in 2019? If not, Stay Young could be onto something here. In addition to that acoustic feel though there is an understated darkness to this song. I'm not saying this band would dress in all black, but there are these guitar riffs which remind me of The Cure and it just feels like at times it could be a song in that specific genre just as well. It is that ability to feel like both of these things at the same time which really makes this song what it is though. On some level, I want to call this "dark acoustic", but I know that probably comes with a certain sense of someone intentionally making dark music but just using acoustic instruments instead of a double bass drum. "Sidewalks" is catchy and it only has this layer of darkness underneath what is on the surface so thinking of it as dreamy acoustics is quite more accurate. A line such as "I believe in everything I see / And in the air we always disappear" shows how Stay Young care not only about their sound but their lyrics as well. Overall this song can really remind me of The Church (specifically "Under the Milky Way") and that has never been a bad thing. 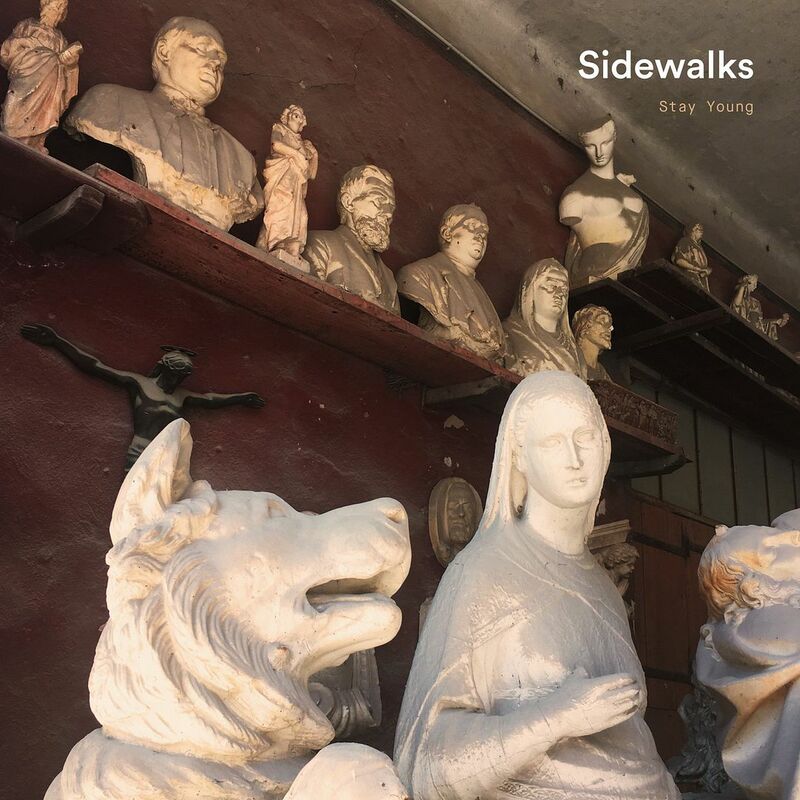 Stay Young is paving their own acoustic path and it is certainly one we should be listening to.